This weekend marks the start of Midas Mode, a unique kind of Dota 2 tournament that commodifies the game’s mechanics and makes professional Dota a Saturday morning game show. Two divisions, North America and Europe, with four teams each will play it out to determine a winner, with the teams donating their winnings to a charity of their choice. The rub is that each team has a bank account, and playing the game can cost you some moolah. The Midas Mode pick screen, complete with pick and ban costs for each hero and a list of available bounties. Designated “Moonbucks,” each team has to spend a portion of their balance to draft their five heroes. Each hero costs a certain amount to pick, a price that will fluctuate as the tournament goes on and trends change. You can also spend cash to ban, bid on getting first pick or choice of side, and can even bet on the outcome of other matches. But to earn money back, teams will have to complete challenges called bounties. Randoming earns you a small amount of Moonbucks, but more difficult tasks (created by the community) can force players to play outside their comfort zone. Maybe you can get some cash for drafting a team full of flying heroes, or five heroes with the same attribute. One challenge, Happy Little Tree, called for a player to plant a tree in the enemy fountain, a challenge OG’s Jesse “JerAx” Vainikka attempted to complete in the first match of the weekend. Viewers can even participate by watching to earn their own Moonbucks, to bet on the hero stock market or on match outcomes for the chance to earn prizes. The list of rules can get a little convoluted, but the important part is that teams are encouraged to pick and play ridiculous strategies. Since the tournament isn’t a part of the Dota 2 pro circuit, teams are free to enjoy the fun. And since resident meme-lord SirActionSlacks is involved in the production, there will definitely be a number of twists and turns for teams to adapt to, like today’s Vape Break. 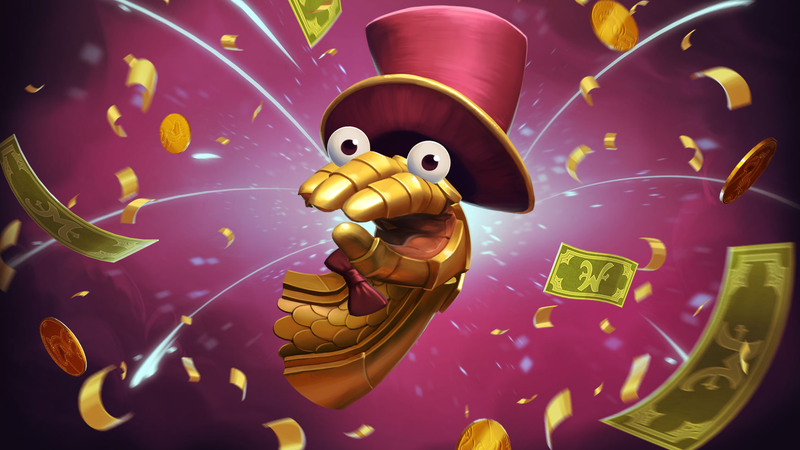 You can watch teams gamble and bid in Midas Mode on Moonduck’s Twitch channel throughout the weekend.